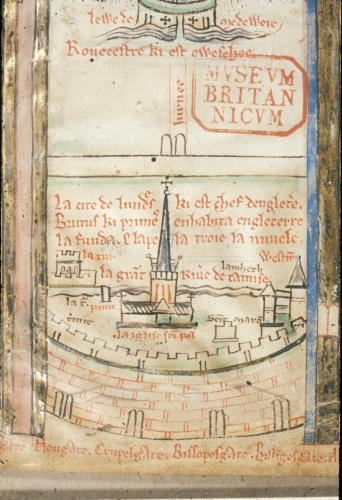 Thirteenth-century detailed drawing of the City of London, as a part of the itinerary to Jerusalem. You can see the Wall in the foreground of the picture. 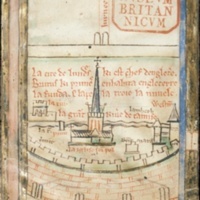 Matthew Paris, “Medieval drawing of London and its Wall (From British Library MS. Royal 14 C VII, f. 2) ,” Medieval London, accessed April 22, 2019, http://medievallondon.ace.fordham.edu/items/show/151.